There are so many awesome vintage shops in Berlin that it is not only perfect for clubbing, but also great for shopping. 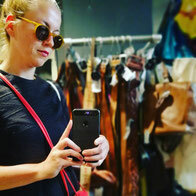 You can find many small boutique style shops in Berlin as well, my little hidden gems, I would like to point out to you in the following „Top 5 vintage shops in Berlin“. Inside of the beautiful store Gerda, the owner, sells women’s as well as men’s well-selected vintage clothing, not so much chosen by brand but by taste. This vintage shop accepts goods on a commission basis. You can simply bring your cloth to the store. 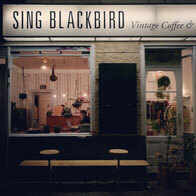 If you like to shop in a well-curated vintage shop, Sing Blackbird is a great place to start. This vintage shop is part chic clothing and part vegan coffee shop. The shop offers designer clothes, shoes and accessories at good — but not a discount - prices. The boutique also holds a series of monthly events like flea market, movie nights, and live concerts. Repeater is one of my favourite vintage shops in Neukölln. It is stylish and offers exquisite second-hand clothes. If you go there, you won’t leave empty-handed. Even though the manager Julia buys all her carefully selected clothes in Germany, Julia spends a lot of time in LA where she gets inspiration for her vintage shop. In the shop you can buy nice Levis denim shorts, plaid shirts, flower dresses and leather shoes. Shop unique vintage clothes by weight. I love this store for its multifarious offer of clothes and accessories of the past decades and their Happy Hour (20 % off) on Tuesday 12:00–15:00. The Made in Berlin - vintage shop in Berlin Mitte is also popular with tourists, but the selection is well sorted. On Tuesdays between 12:00 and 15:00 you can get an additional discount of 20%. The shop is part of a network of vintage shops in Berlin / Germany called Kleidermarkt (as PicknWeight). All stores have a happy hour with discounts every week. So maybe check their website before you visit their shops in Berlin. The Humana Kaufhaus in Friedrichshain is not a usual vintage shop, it's a secondhand department store. The building is gigantic, and has several floors displaying fashion of all ages and sizes. The prices are so low you'll be double-taking … frequently. And you have to make time for this visit, as it’s going to last for some time, because there's tons of cloth and vintage gems you have to go through. If you love vintage shopping this is the place to go.